Paulist Evangelization Ministries offers numerous programs, ministries, and other resources to help parishes in their evangelization missions. Many of these resources look to reach out to Inactive Catholics and Seekers looking to reignite or learn more about their faith. We also offer programs to deepen Catholic spirituality. Our Prison Ministry serves inmates across the country in a variety of ways. Books such as “Why Not Consider Becoming a Catholic?” offer those curious about Catholicism an opportunity to explore the faith. 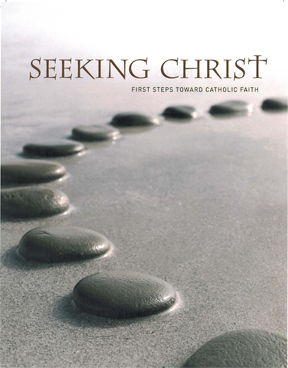 The Seeking Christ ministry provides a bridge for seekers who aren’t yet ready for the full RCIA process. Evangelization can’t happen without Catholics committed to understanding and spreading their faith. Living the Eucharist is a popular and effective parish-based Lenten renewal program focusing on fostering a deepening foundation in the Eucharist. The Faith Series booklets are perfect for creating small Christian communities within your parish.